Crisp the pancetta in a nonstick pan and drain on paper towels. Prepare the herb butter by combining the butter, herbs, and garlic in a food processor. Slice the baguette in half and spread generously with the herb butter. Toast the bread in preheated oven. 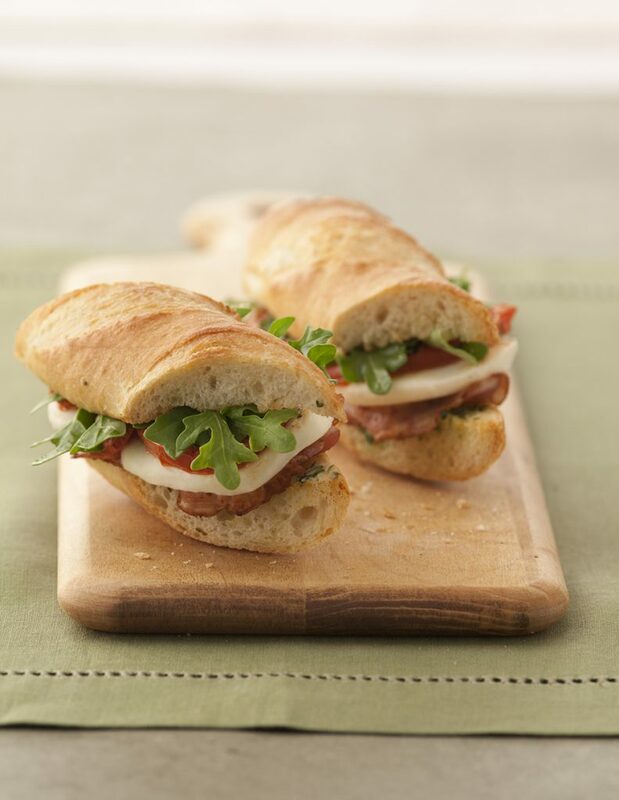 Layer the sandwich with pancetta, tomatoes, fresh mozzarella, and arugula. Slice the sandwich into portions and serve. If unable to find pancetta, imported prosciutto or coppa will work just fine.